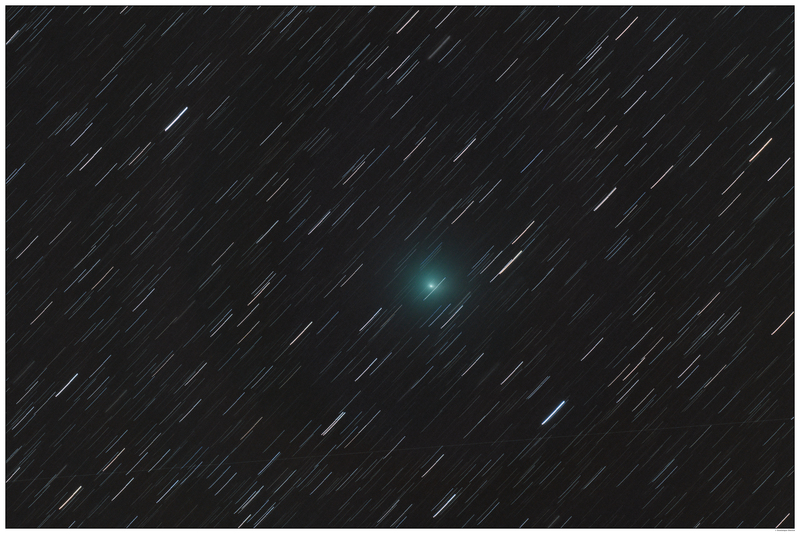 Comet 41P came to a close range of Earth just in time for St. Patrick’s Day. Now, the same little bugger will be zipping by Earth in its closest approach to the planet on Friday in an epic display — you seriously won’t want to miss this one. Slooh, a NASA partner focused on space education, will be hosting a live broadcast of the flyby at 8:30 p.m. Eastern from the Institute of Astrophysics of the Canary Islands. To tune in, you’ll have to make a free account with Slooh, but trust us — it’s worth it. Comet 41P is a Jupiter Comet, meaning it is caught in Jupiter’s orbit and runs between the sun and the gas giant. It passes by Earth every 5.5 years, but this is the closest approach in more than a century. It will be a mere 13.7 million miles away — that’s about 50 times the moon’s distance from Earth. During the show, Slooh will give a little lesson on the history of comet science and exploration and delve into their influence on poetry, music, paintings, and literature, including Leo Tolstoy’s War and Peace, which is centered around the comet of 1812. If seeing it in real life is more your jam, then take to the Northern Sky with a pair of binoculars around 8:50 p.m Eastern. If you live in a rural area, you may even be able to see it with your naked eye. 41P has a history of “outbursts” that can make it seem like it’s pulsing or twinkling. Twice in 1973, it had two 10-magnitude outbursts making it appear much brighter than usual to sky gazers. So, you might luck out just by staring off into space with your naked eye.